I’ll be participating too! Check for streams of this week’s Blitz Brawls on twitch.tv/lunarchstudios. There will be several prize giveaways after the Brawl. All players are eligible! Victory Prize: The overall winner will receive 1000 Shards and a “Blitz Brawl Champion” badge. Participation Prize: A random participant with at least 1 point will receive 8 Omnipower Cores. Any collusion or cheating is strictly forbidden and will disqualify participants from receiving prizes. Over 80 Prismata Achievements have been fully enabled, with more to come. We’ve been tweaking them quite a bit over the past couple of days but they should be pretty stable from this point forward. Thanks to everyone who helped test them out and submitted bug reports! You guys rock!! Achievements are available in both the Steam and non-Steam versions of Prismata. 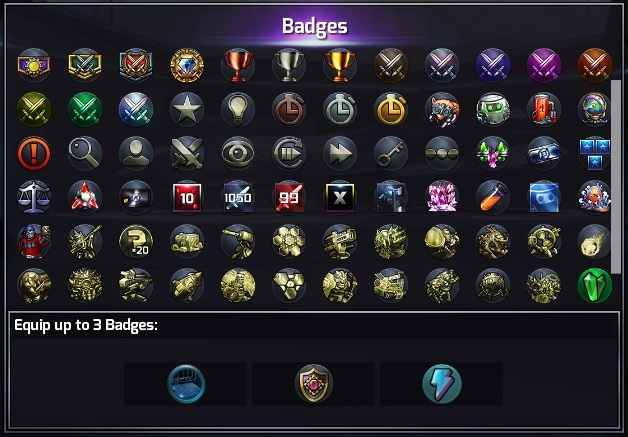 Each Prismata achievement earns you an equippable in-game badge. Can you collect them all? As I mentioned before, we’ll be running a series of short one-day tourneys over the next few months—a “pre-season” for the Prismata Beta World Championship. These tourneys, unrelated to the Blitz Brawls, will consist of Swiss-style pairings under a variety of rulesets. As with the Blitz Brawls, there will be prizes for the winners and raffle prizes for all other participants. All skill levels are welcome. As a preliminary announcement, I’d like to mention that the first pre-season tourney will run this Sunday, December 11 2016, at 2:00pm ET. More info (and signup) coming soon; check our blog in about 24 hours. The next few weeks will be very busy as we’ll be debuting Prismata’s official Steam store page in preparation for our Early Access launch. We’ll also be mailing all Kickstarter supporters tomorrow to tell them about our Steam Beta, Achievements, Blitz Brawls, and pre-season tourneys. I’ll be streaming Prismata on our twitch page tonight, tomorrow, and throughout the weekend. 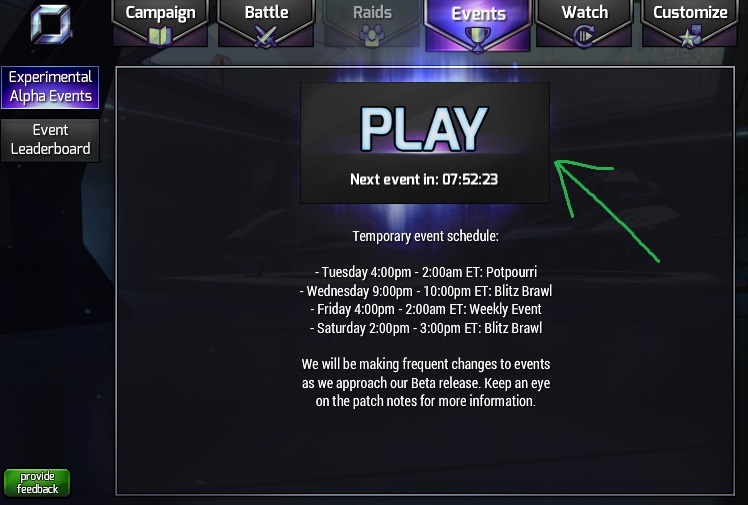 Later this month, we’ll be launching Casual Match mode, which will be the final new feature (other than the campaign) to be added to Prismata before the beta milestone. We’re incredibly excited and we hope you are too!